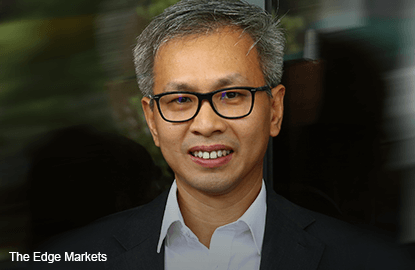 KUALA LUMPUR (Sept 20): With brazen gerrymandering coupled with an aggressive campaign based on race and religious rhetoric, there was now a very real possibility that Selangor will indeed fall to Barisan Nasional (BN), said DAP’s Tony Pua. In a statement today, Pua, who is DAP national publicity secretary and MP for Petaling Jaya Utara said DAP Selangor will hold an emergency state committee meeting today to discuss the Election Commission re-delineation plans for the state and its impact to Pakatan Harapan for the 14th General Election. He said that as analysts within DAP, political parties and think tanks across the country digest the proposed re-delineation plan by the Election Commission, it had become clear that the exercise was the most brazen attempt to gerrymander a victory for UMNO in the next general elections. “Perhaps it should not come as such a surprise in the light of the fact that the (Prime Minister Datuk Seri Najib Razak’s administration is facing the worst political crisis in the history of the country. “All surveys and studies showed Datuk Seri Najib Razak’s ratings to be the lowest ever recorded by any Prime Minister as a consequence of the 1Malaysia Development Bhd (1MDB) financial scandal and the impact of the GST on ordinary Malaysian’s cost of living,” he said. Pua added that if in 2013, Barisan Nasional received less than 48% of the popular vote then the only logical conclusion will be that the ruling coalition will receive lesser votes in the 14th General Election. “Hence the trump card for BN was to redraw the election constituency boundaries to the extent that BN will be assured of a thumping victory even if their popular votes continue to decline. “The simplest way of doing so would be to bundle opposition inclined voters into super-constituencies with more than 100,000 voters while breaking up hard-core pro-ruling party supporters into smaller multiple constituencies,” he said. Pua said the clearest example was in the seat of Petaling Jaya Utara which was enlarged from 85,401 voters to 150,439 voters. He said the newly enlarged constituency, renamed “Damansara” is projected to achieve a super-majority of 73,533 based on the 2013 voting records, as opposed to the actual majority of 44,672. Pua said that as a result, the neighbouring constituency of Subang (renamed “Sungai Buloh”) becomes a very marginal seat with only a projected 3,037 majority as opposed on 26,719 achieved in 2013. “What we have since discovered to be even more audacious however, is the plans by the Election Commission to return the Selangor state government to BN via aggressive gerrymandering. “Based on 2013 voting patterns alone, at least seven state assembly seats will be won back outright by BN in the next election. They are Sabak, Hulu Kelang, Sementa, Selat Kelang, Pelabuhan Kelang, Sijangkang and Morib. “At the same time, at least another ten seats had their majorities vastly reduced to place them within reach of the BN candidates,” he said. Pua said the DAP Selangor state committee will meet later today discuss the findings of its studies and formulate its position as well as the next steps needed to take to ensure that the people of Selangor will not be robbed of their mandate in the next general elections.